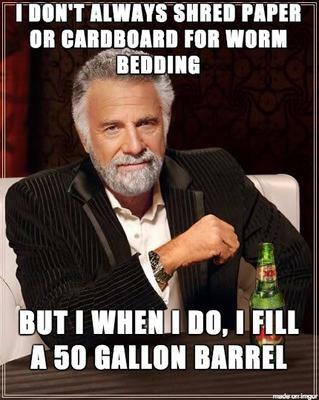 People have all sorts of opinions about the best source of bedding for their worm bins. Commercially the most popular option might be peat moss. For the home farmer, it is hard to beat shredded paper and cardboard. But how much paper can you run through your shredder before it jams or burns out?